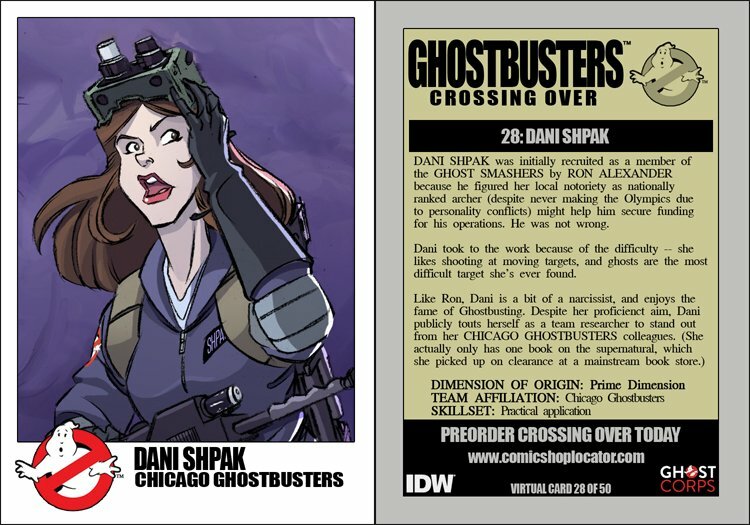 DANI SHPAK was initially recuirted as a member of the GHOST SMASHERS by RON ALEXANDER because he figured her local noteriety as nationally ranked archer (despite never making the Olympics due to personality conflicts) might help him secure funding for his operations. He was not wrong. Dani took to the work because of her difficulty... she likes shooting at moving targets, and ghosts are the most difficult target she's ever found.